A-One F&B Group Pte Ltd was founded by Mr Richard Ter in 2008 and continues to flourish under his love for wholesome Chinese comfort food. The F&B group is known for concepts that are borne out of the use of traditional Chinese culinary methods, presenting dishes prepared with the use of claypots that are able to extract the richness of every ingredient chosen to complement its signature porridge base. GROWTH THROUGH THE YEARS Through the years, accolades and popular reception for its award-winning claypot porridge has led the company to multiply its business rapidly. By 2011, there were 30 A-One food stalls across major food courts in Singapore. The group opened its first full-service claypot porridge restaurant in 2012 and its growth has seen a total of 11 restaurants established in major shopping centres in Singapore by end-2015. 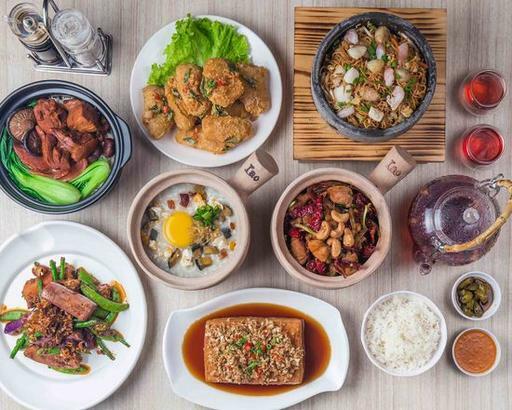 THE UPCOMING YEARS Looking forward, the group will embark on a concept expansion programme that will deliver a total of 20 restaurants throughout Singapore, firmly establishing itself as a leader of claypot porridge in the island republic. We are known for our use of claypots to present our signature porridge and dishes. Claypots are time-honoured for its superior heat insulation and ability to limit airflow during the cooking process which richly preserves the natural goodness of our handpicked ingredients. Meats are delightfully tender and juicy, greens are made just so while every grain of rice is lovingly boiled to perfection for that A-One Claypot Porridge signature. There are just some things that will stand the test of time, and fire - food cooked with claypots! Go fuss-free! Good for 10 pax onwards, food is served in lightweight microwavable containers packed in recyclable warmer bags. Comes with full set of disposable cutleries and serviettes.